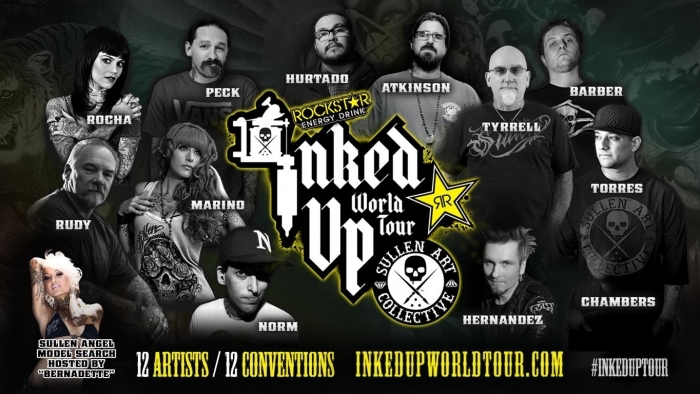 We have paired up with Sullen Clothing for the first ever Inked Up World Tour which features 12 top tattoo artists paired with 12 top tattoo conventions. Each artist will be designing a Rockstar can and competing for the grand prize. Alongside the artists will be ladies from around the world competing for the title of Miss Inked Up 2013. Go to http://www.inkedupworldtour.com for tour dates and info.